The Equal Life Foundation (ELF) is the company that promotes and sells the products, course materials, marketing and recruitment schemes of the group known as Desteni. However, in a recent video at the Living Income Guaranteed (LIG) YouTube channel, Equal Life Foundation: Our Moral Imperatives, Cerise Poolman, who owns desteni.org, talked at length about 'the group' without ever saying the word, 'Desteni'. The LIG is also a creation of Desteni, and no other group or individual actively supports or promotes it. Yet in her interviews at the LIG YouTube channel with non-Destonian activists and supporters of the Basic Income Guarantee (which, unlike the LIG, is a genuine political and economic proposal), committed Destonian, Marlen Vargas Del Razo, has also never said the word, 'Desteni'. Even the 'Self & Living' online store which sells videos by Sunette Spies (AKA the Desteni 'interdimensional portal') contains no reference to Desteni. A key article of the ELF is called a Bill of Rights, although it is not a 'bill', as it is not being proposed to a legislature. It is merely a web document, and is essentially a bastardisation of the Universal Declaration of Human Rights which is being used to advance the private business interests of the Desteni group's so-called 'non-profit' company, the ELF. Again, it does not mention Desteni. Ken Cousens is not only the author of the ELF's 'Bill of Rights' but was also granted permission to invite Desteni members to join Gemstone University and Panterra Private Contract Association, organisations he runs independently of Desteni / the ELF. This of no small significance: Cousens' ideas and beliefs and the aims of Gemstone University and Panterra PCA must therefore be regarded as being in general agreement with the aims of Desteni / the ELF. 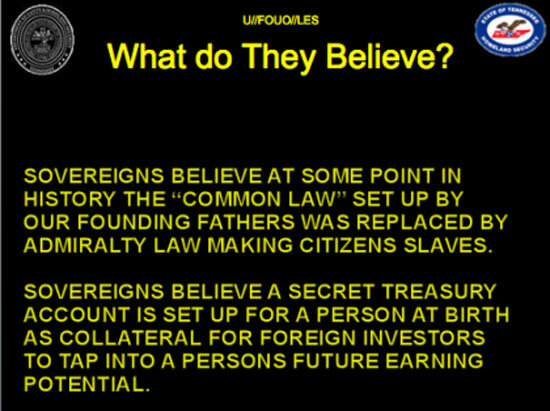 Cousens' background, ideas and beliefs are rooted in the Sovereign Citizen Movement. Cousens was until recently an official spokesman for the Sovereign Citizen group, the Republic for the united States of America (RuSA), the former 'president' of which is currently serving an 18 year prison sentence for fraud. Cousens' wife, Destonian, Andrea Teale, interviewed her husband in the video, Senior Destonian Hangout - An Interview with Ken Cousens and stated he has been in Desteni for seven years, is 'a law person, a law researcher' and his Gemstone University 'teaches people about law'. Teale uses the term, 'Living Woman on the Land' to describe herself, which is a variation of the term, Freeman on the Land, derived from the Sovereign Citizen Movement. 'If Governments are essentially controlling our minds, how can we start steering our own minds to become self-governed and sovereign citizens? Like the Destonians, Sovereign Citizens have some odd ideas about language, government and the law. 'Sovereign citizen', David Wynn Miller, for example, is a so-called 'Plenipotentiary-Judge' and the 'King of Hawaii', who bamboozles people with gibberish and outlandish theories in expensive workshops which are often geared towards helping with foreclosures, but can do nothing of the sort. In the USA in 2014, a survey of law enforcement officials conducted by the National Consortium for the Study of Terrorism and Responses to Terrorism, placed the Sovereign Citizen Movement in the top slot as the biggest domestic terrorist threat in the country. Sovereign Citizens have been involved in numerous violent and murderous acts. 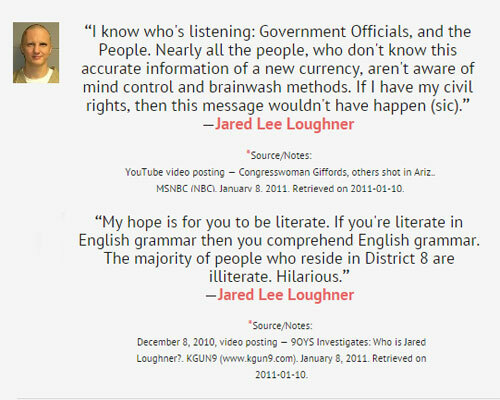 David Wynn Miller publicly acknowledged in the New York Times that deranged killer, Jared Lee Loughner, who was found guilty of 19 charges of murder and attempted murder in Tuscon in 2011, had been influenced by reading Miller's website. Loughner's strange use of language clearly showed that he was a keen adherent of the Sovereign Citizen Movement. The murderer was also a fan of the Zeitgeist Movement (TZM). Desteni members have had a lot to say about TZM, usually to try to show that its 'Resource Based Economy' is inferior to the 'Equal Money System' of Desteni. In 2011, the group's founder, Bernard Poolman, encouraged disaffected members of TZM to join Desteni. It is a specialty of Sovereign Citizens to concoct nonsensical legal documents. Another article by Ken Cousens is an absurd defense of Desteni written in the form of a faux legal document, a so-called 'affadavit of truth', entitled, Standing in Witness to Desteni. Cousens' 'Walking the World System' video series for Desteni is over nine hours long. The videos referred to in the Nov 2014 post, The Destonian Sovereign Citizen, have since been removed from public view on YouTube, but copies have been made of them. In one video he recommended to Destonians another video, The Golden Web, which posits a method of interpreting the 'hidden' meanings of words to advance very grand conspiracy theories. It is a method similar to the practice in Desteni of interpreting words according to how they might sound like other words, as shown in the Living Words section of the group's public forum. It is related to Bernard Poolman's 2007 articles such as Bernard Poolman – I, the Living Word and The Living Word in which he recommended 'redefining words' with the help of software which he claimed he had 'tested' and found could 'assist with the process' of 'self-forgiveness'. That same software, discussed in the recent VICE magazine article, Meet the Struggling South African Cult That Tried to Kill Demon Hitler, is now known as TechnoTutor and is sold to the public almost exclusively by members of Desteni. The websites for Gemstone University and Panterra PCA, run by 'The Living Man, kenneth scott, of the House of Cousens', are full of language and ideas of the Sovereign Citizen Movement, but they do not mention Desteni. 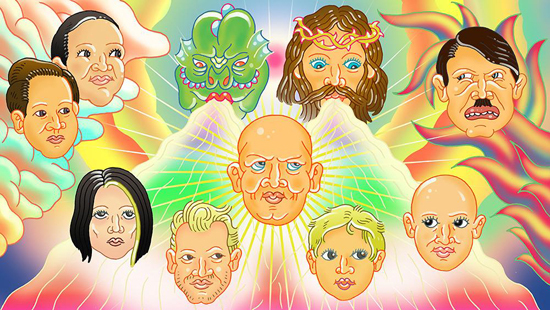 Poolman, on the other hand, always referred to Desteni, but perhaps the present day representatives of the group have in certain circumstances been avoiding using the word to try to offset the inevitable consequences of the fact that Desteni has gained a solid reputation for itself as a totally ridiculous cult. Maybe they are changing direction and planning on ditching the name altogether. Yet if the 'living words' used to represent the group and its interests are instead the Equal Life Foundation, the Living Income Guaranteed, Equal Money System, TechnoTutor and/or anything else, it makes little difference. In forging alliances with individuals from the crackpot Sovereign Citizen Movement the people who call themselves 'Destonians' are risking far more than their reputations. @BRF - Certainly – but even though they are basically the same as the sovereign citizen movement, Ken Cousens / Scott tries to present his beliefs as if they are much more advanced and sophisticated than the usual sovereign citizen beliefs. The articles at this blog which reference Ken Cousens already show the date of posting, and include for the sake of context a prefatory note to the effect that he is no longer associated with Desteni. The fact that he was involved with Desteni for many years and wrote the Equal Life Foundation company’s “Bill of Rights” is in the public interest primarily because he had also been the Chief Jury Foreman of the Republic for the united States of America. If you do not want other people to make the mistakes you made by being in Desteni, then why not publish an article outlining your reasons and distancing yourselves from the group?